Our community means the world to us, and as a thank you for making 2015 so amazing, we’ve put together our biggest free font bundle ever! 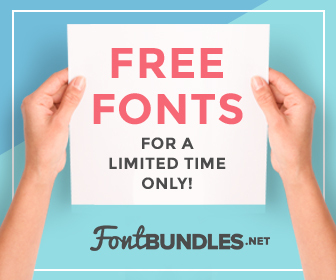 This collection includes tons of quality fonts from many top designers around the world, and it’s 100% free! 2015 has been an incredible year for Creative Specks, and we’re so grateful for you being a part of that. We are just 6 months old and our community has now grown to 7000 subscribers, who have collectively saved over $100 million using our free resources and freebies! Throughout this year, your support and feedback continue to inspire and motivate us. We have so much fun every day working for you, the CS community. As a thank you for making 2015 a year to remember, we have put together a special free font bundle for you to enjoy. Thanks to the generous contributions of our talented designer friends, this free font bundle is huge, high quality . It includes a total number of 65 MOST APPRECIATED FONTS all over the web through out this year! Best of all, it’s totally free and you don’t have to worry about using it in your personal or commercial projects. Once again, a huge thank you! We already have massive plans for next year, already we have gathered some awesome top class freebies for the new year and we can’t wait to share them with you. Here is a short preview of what you are going to get in your New Year Free Font Bundle. The wait is over! Here is the “Download Now” button with full download link! Question: In the write-up above, it says that we don’t have to worry about use in personal or commercial projects. Some of the fonts in the bundle have language included that says it is for personal use only, Moon and PierSans for example. Is this a mixed bag of freebie fonts or do they include licences for commercial use for all of them? Its a mixed bag. Usually these fonts can be used in all projects. Thank you so much! Have a wonderful 2016!